Includes unlimited streaming of wave of grace via the free Bandcamp app, plus high-quality download in MP3, FLAC and more. 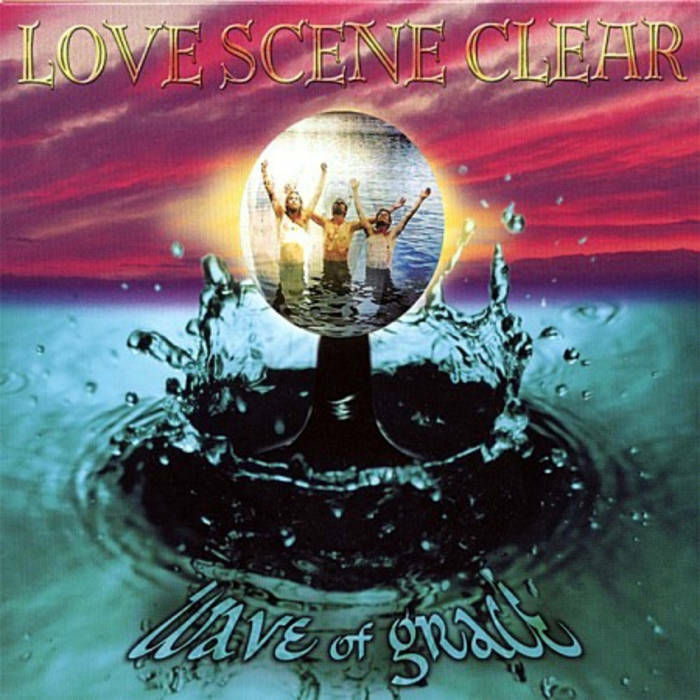 Love Scene Clear breathes the essence of their name into the music they create. Inspiring lyrics and vocal harmonies are woven into a soundscape created with silver and Native American flutes, tribal percussion, and the 12-string acoustic/electric guitar. This trio produces a big sound all their own, best described as "Ambient Transcendelic Rock." But don't let the word "Rock" fool you. LSC is a band of many musical faces that charges forth with a passion likened to "rock" while bathing audiences in ambient textures, and conscious lyrics giving the band a sound that is truly original and exciting. Their shows offer a uniquely entertaining chemistry of spiritual transcendentalism and everyday humor. LSC and the listeners are joined together on a journey that evokes the emotional depths of the human experience and the process of awakening. Their songs are a mix of heartfelt melody and driving rhythms layered with sounds of nature. Love Scene Clear is an experience of profound beauty and emotion wrapped in a sonic landscape that moves people from the core, outward to a spiraling dance of celebration. In 2002, they released their debut CD "Wave of Grace" and have since been receiving widespread recognition, leading up to the 2005 release of their Live CD, "On the New Day." Based in Boulder, CO, LSC plays across the United States in a variety of venues, including festivals, theatres, clubs, yoga centers, and holistic retreats. Love Scene Clear has shared the bill with the likes of Soulive, MMW, STS 9, Spearhead, The Slip, Bernie Worrell, New Monsoon, Signal Path, Last Crack, Shawn Phillips, Krishna Das, and Jai Uttal. The response has been tremendous, as people of all ages and various musical tastes have embraced the experience that is Love Scene Clear. On July 6th 2006 Joshua Lewandowski was killed in a tragic car accident.